Novelist Naoki Hyakuta has denounced the values of free speech and free hair at an LDP conference yesterday organized by party members close to Prime Minister Shinzo Abe. 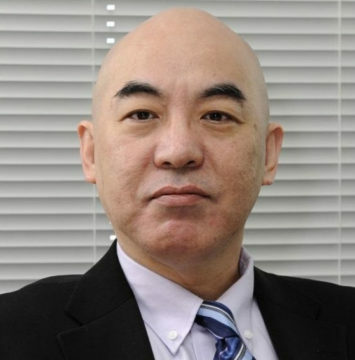 Hyakuta who boasts an immaculately shaved cranium said it was time to constrain the faculty of free speech and free hair, both prone to causing agitation. Starting with Okinawa Prefecture, Hyakuta has proposed a preliminary scheme to reduce local newspapers by a total of two and men’s cranial hair by two per cent per annum. “I’d like to see less debate and more shiny skulls, which will help reduce irritation in society,” announced Hyakata. Hyakata was critical of Prime Minister Abe’s thick mane and hinted at shifting his support to parliamentary members showing signs of thinning on top.